BLTA prides itself on being a small hands on company. We have been there and test driven all our adventures, and you will know exactly what to expect, and be properly prepared for your experience. Take it from us, it’s no fun when your hydration pack freezes at 5000 metres at 4 am on your way to summiting Mount Kilimanjaro. 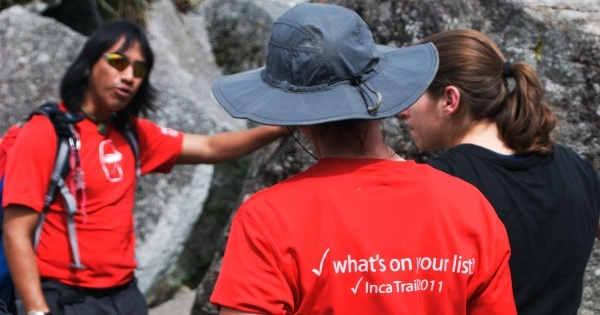 We utilize established local companies and guides to give you the most authentic experiences available. We believe in the Andean concept of Ayni, or reciprocity, and support the people and communities we work in close partnership with. Over the years these local partners have not only become invaluable and trusted resources, but our very good friends as well. One of our experienced adventure specialists accompanies you on our small group adventures to ensure that all runs smoothly. Travelling and experiencing the world is our passion and we love to experience the local flavours, culture and history. We know these destinations because we’ve been there and fallen in love with them. From restaurant recommendations, directions to the corner store, where to purchase the fattest cui or handing out blister bandages, Our specialists are there to offer you their amassed travel tips and knowledge. We believe life is too short to sit at home read the travel section and then add another item to your bucket list. We will take any opportunity to get out of the office and add another check mark to our personal bucket list. We are adventurous, active, outdoorsy types and are always ready for a new challenge. We want to experience life for all it has to offer and invite you to join us in these adventures. Grab your passports and let us help you get out there and check off those items on your bucket list. Travelling solo is not a problem with Bucket List Travel Adventures. We keep our single supplements low and offer a room share option whenever possible. We know from experience your partner or friends may not always share your same sense of adventure. Our small group departures give you the opportunity to join a group of like minded people and share in the adventure. We also recognize it is your holiday and offer you ample time to explore on your own. BLT Adventures are fully escorted from Toronto. They include International Airfare and taxes from Toronto, all transfers, accommodations in comfortable hotels and camping, domestic flights, meals as indicated and tours as indicated on the itinerary. Knowledgeable, English speaking local guides. Gratuities for local guides, porters and drivers. All BLT Adventures are limited to 12 persons. For more information, visit our pricing page. BLTA offers you the option to save your spot for a $50.00 risk free deposit. Once prices are confirmed, you have the option to proceed with booking, transfer to another adventure or receive a full refund. For more information, visit our pricing page.